Go to flickr or bayimg for hi-res image (thanks to the reader who sent that in). Every rumor is taken from just one of these predictions by three distinguished professional photographers you see on the lower left side of the page in the link Mr. Fool provided. 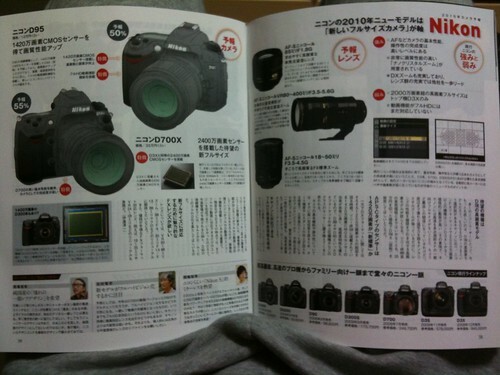 On the upper right side, it reads "New Full frame camera will be the axis of Nikon's new model in 2010". They predict that D700X will be using the same cropped sensor as D3X and the price will be about 350k yen ($4000 US). They also predict that 14.2 mega pixel APS-C sensor ( the same one currently used on Sony A550) will be the new standard for Nikon's APS-C camera, and the replacement of D90 (which they call D95) will adapt that sensor. According to them, it will have Full HD video. The least credible of all is listed lenses on the right page. 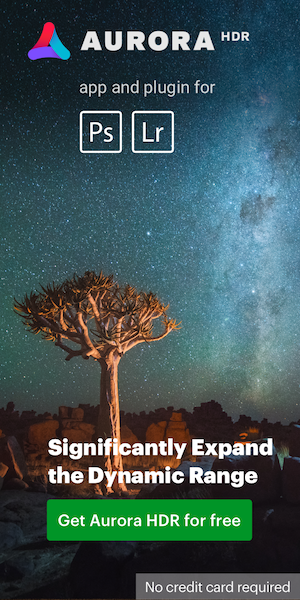 The source simply states "we want attractive lenses to fully experience new high-megapixel full frame camera". So lens part is more like a hope than a prediction. The question is are those predictions based on facts or fiction? Just a reminder that last week, a similar "rumor" came from another Japanese magazine for a new Ricoh GXR lens slide-in module (it was on the first page). This entry was posted in Nikon D800, Nikon Lenses and tagged Japanese photo magazine. Bookmark the permalink. Trackbacks are closed, but you can post a comment.